In this investigation, we compared the effect of unsteady magneto hydrodynamic Carreau fluid in the interruption of graphene nanoparticles with heat generation over stretching and shrinking surface. The simulation is performed by combination of graphene nanoparticles into base water. 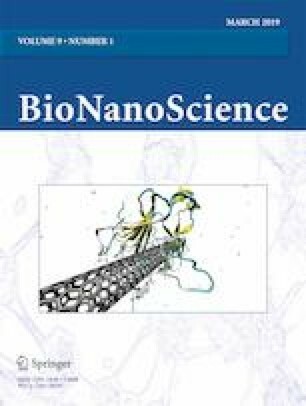 Dispersion of graphene nanoparticles into base fluid finds several applications, such as biosensors, detection and purification of cancer cells, biocompatibility, and bio-imaging. The arising set of dimensional partial differential equations (PDEs) is converted into a set of non-dimensional ordinary differential equations (ODEs) by suitable similarity transformations, and then solved by the help of Runge-Kutta with shooting technique. The numerical results for non-dimensional velocity and temperature are displayed with graphs. We also analyzed the physical quantities (friction factor and local Nusselt number) for various values of non-dimensional physical parameters mathematically, and they are presented through tables. We also compared the present results with existing literature under some limited case. At the end of our analysis, we noted that radiation amplifies temperature profiles of both stretching and shrinking sheet cases. But, compared to shrinking sheet stretching sheet gains higher values. Heat generation parameter enriches temperature profiles in both stretching and shrinking sheets; compared to stretching sheet, shrinking sheet gains higher values. The authors are grateful to the Deanship of Scientific Research at King Faisal University for the support under the grant 186046. Raju, C. S. K., Sekhar, K. R., Ibrahim, S. M., Lorenzini, G., Viswanatha Reddy, G., & Lorenzini, E. (2017). Variable viscosity on unsteady dissipative Carreau fluid over a truncated cone filled with titanium alloy nanoparticles. Continuum Mechanics and Thermodynamics. https://doi.org/10.1007/s00161-016-0552-8.